In this episode Caroline and Kelly talk all about celebrating your wins! Sometimes we fail to do this and put it to the side, celebrate all big and little things! Caroline and Kelly talk about how important it is to focus on the everyday things and not to get hung up on the big picture. So What should You Celebrate?! Caroline and Kelly talk about what you should celebrate as a business owner! Wait???? You are already a business owner…..that is something to celebrate!! From making a to-do list to tracking your numbers for your biz, Caroline and Kelly give great tips and ideas on how to celebrate the positive wins of the ins and outs for your biz. Kelly talks about what she is planning on doing for celebrating her wins in her business! Maybe you will do it to!? How did kelly handle going from a positive win to a terrible review in just a few hrs in one day?? Kelly talks about one of her bad reviews she received from a customer. How Can We Generate Wins? Caroline and Kelly talk about the many different ways they celebrate their wins! Set yourself up to accomplish wins. Do not set yourself up for failure. Your wins do not have to be huge, celebrate by yourself, use a jar, or your biz bestie! Join a facebook community to help yourself celebrate and share your wins and better yet, join the Creative Biz Rebellion Facebook Group! How do you celebrate your big wins! Be sure to share them with us! 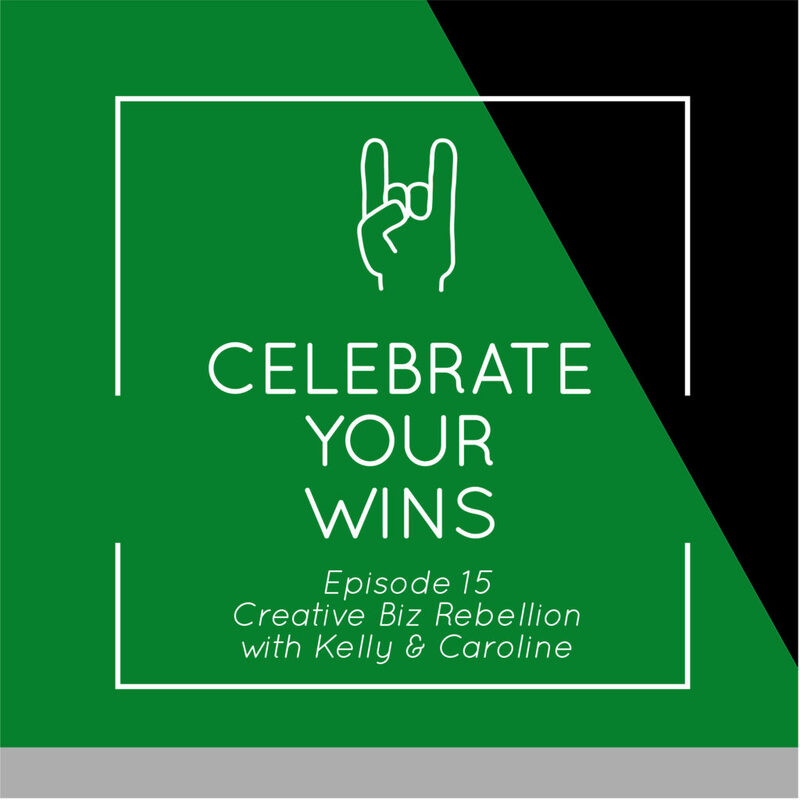 From hearing that Chi-Ching on etsy to posting on social media, Caroline and Kelly talk all things they celebrate as wins in their biz! There is no reason to be upset, we are all crazy rebels and we need to be happy where we are. Caroline and Kelly still struggle with it as well. Celebrate where you are and you will get where you want to be! As business owners we have all been there. How was this podcast a win for Caroline and Kelly? !